Now that you know my "happy" news, I have a Garden Set to share with you. We went for a ride around the ranch today and Bluebonnets and Indian Paint are showing their color. Even purple Verbena. 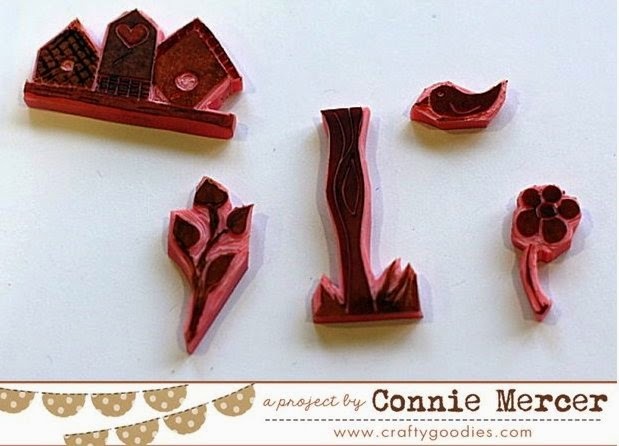 I used Ranger Archival Ink and my Stampin' Up Markers to add the color to The Garden Set. Fabulous carving Connie! What a lovely garden set! You are totally amazing! These were carved so well and look beautiful. I missed the bluebonnets ! 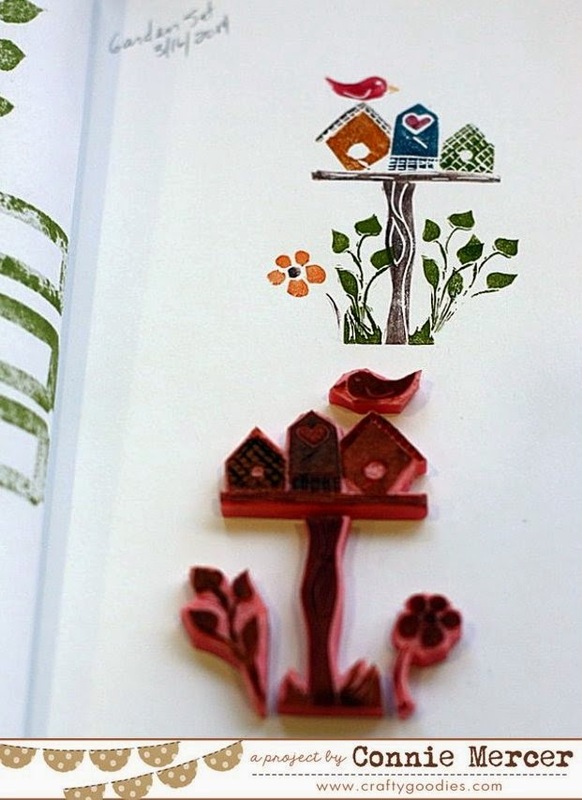 You're very talented at carving stamps ! It's beautiful. So gorgeous! I love them!!!!! These are fabulous! I think you should make/sell stamps. I would buy these, adorable!! WOW Connie these are amazing.. awesome carving..super cute..
Connie, you never cease to amaze me. Your talent abounds! You are sooooo talented lady!!! I love them. DO you draw too? Do you have know how to draw to carve??? Your garden set is so cute. I just donated my birdhouses I made when I re-painted my kitchen. Connie you are so talented! These are so cool Connie! That is impressive creativity. You go girl!